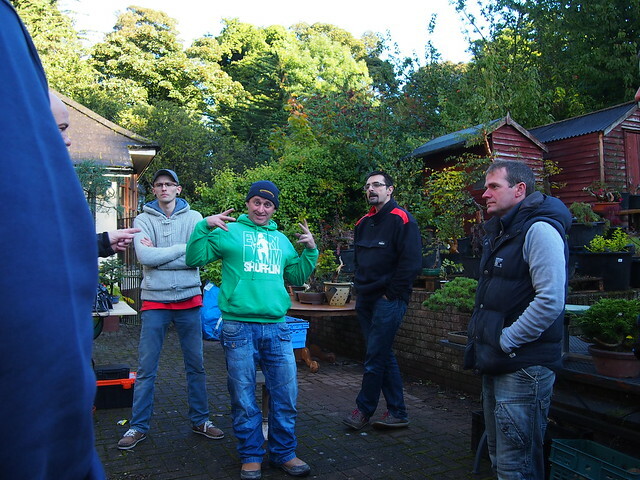 Thanks to Dan for sharing these photos from the Capel Manor Show last weekend. 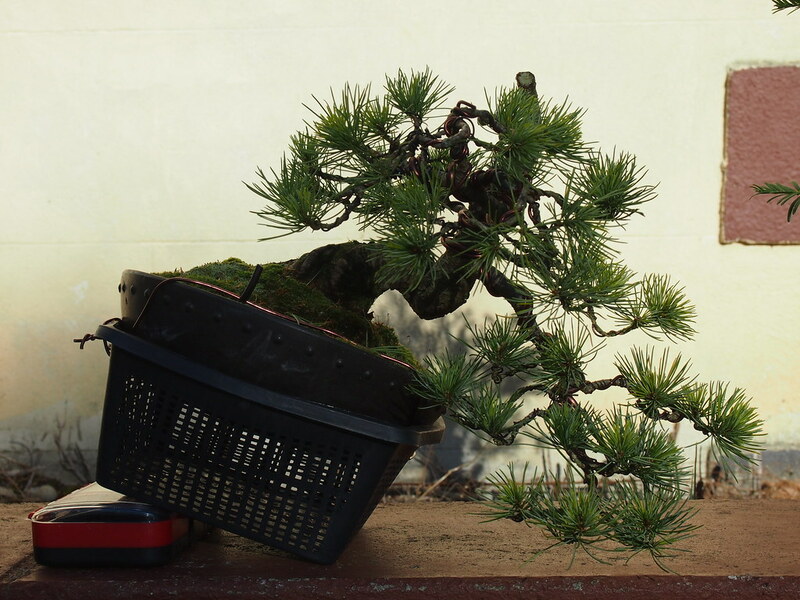 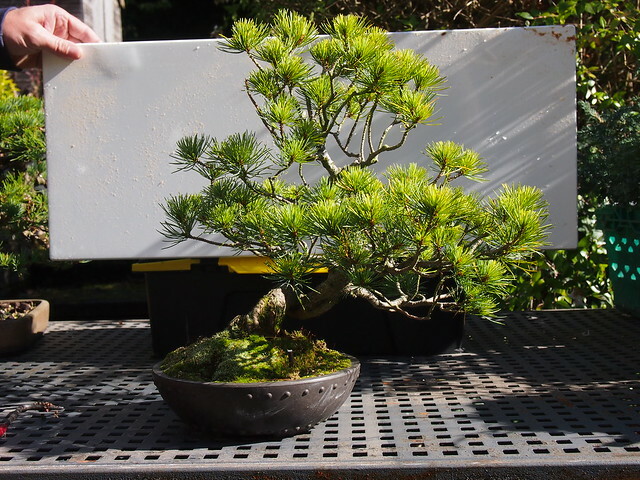 The exhibition is hosted by the Enfield Bonsai Group. 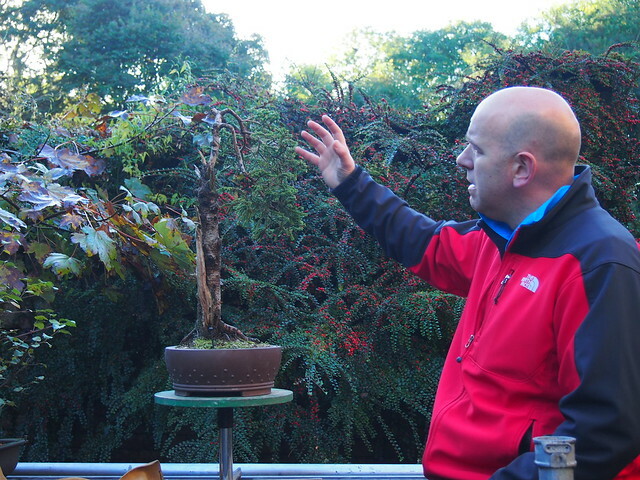 Here are some of the winning trees, displays, club displays and even a few from the John Armitage demo. 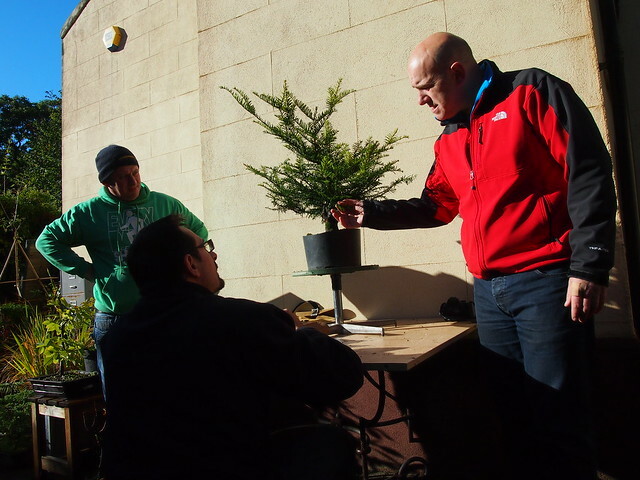 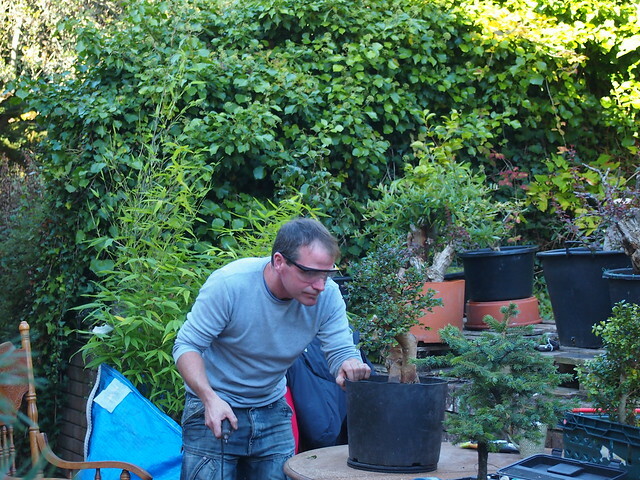 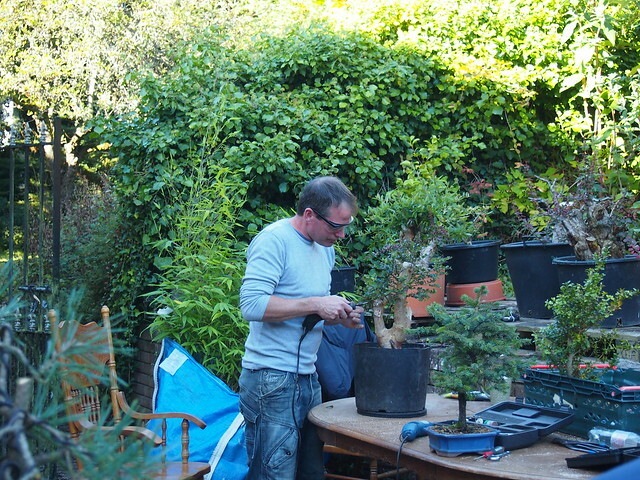 John did a demo on 2 trees, Juniper was made from £25 material showing what you can achieve for not much cash. 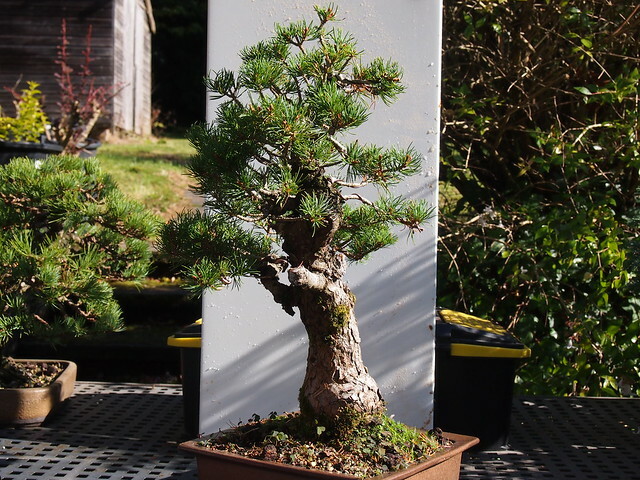 The 2nd tree was a cork bark elm, again affordable material – work was done with an aim to air layer into a clump in the spring. 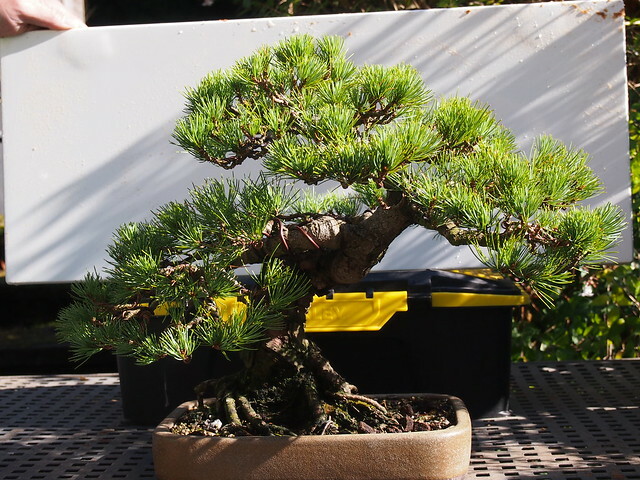 A final note to pass on my condolences regarding Ray Ward from Sussex Bonsai who was also Vice chair of FOBBS, who sadly passed away on Wednesday this week. 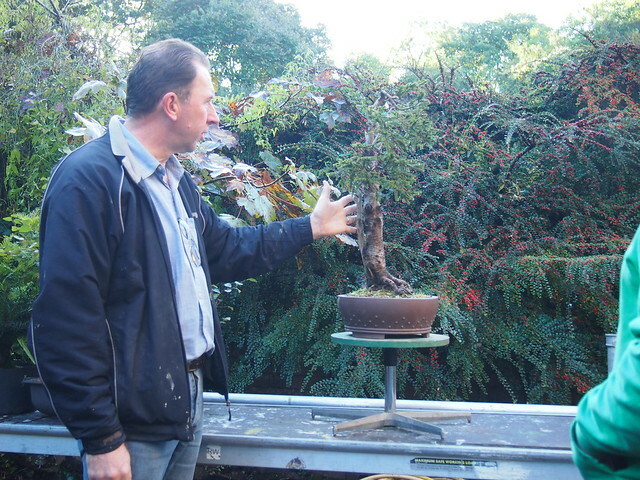 He did an amazing job creating their club display at the show and was a prominent and much liked man in the British bonsai community. 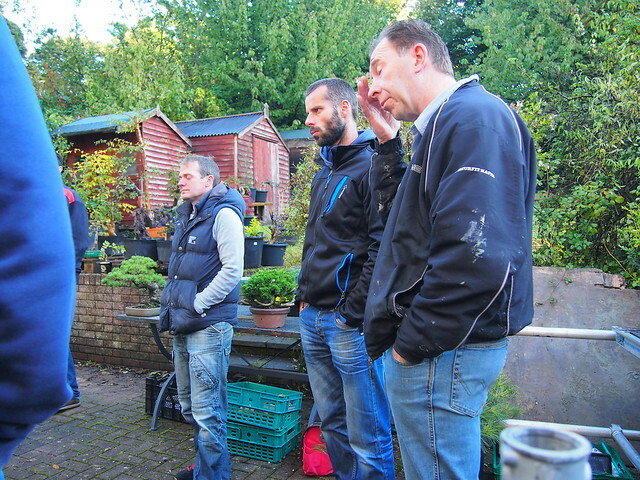 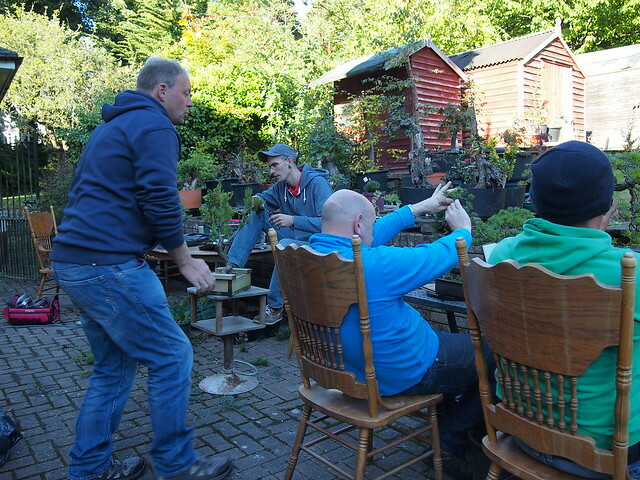 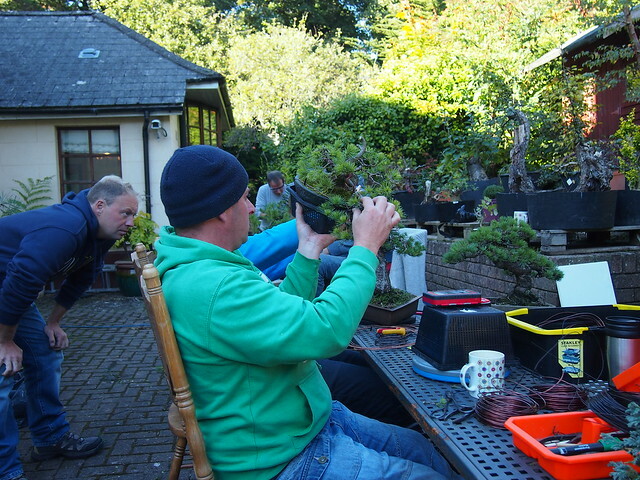 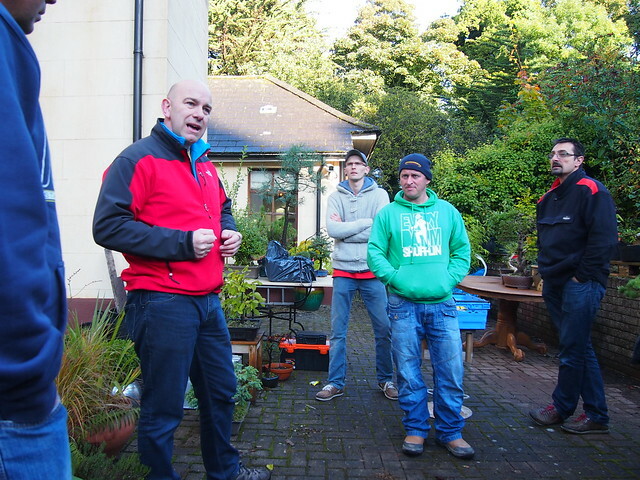 We are a tough lot, an open air workshop in October in Ireland, great when the sun was out but Baltic when it dropped behind the house.